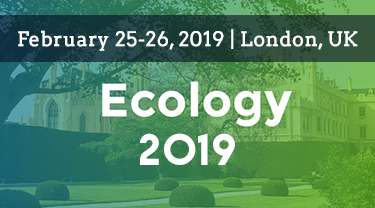 Conference Series Ltd Conferences invites all the participants across the globe to attend the ‘2nd World Conference on Soil Microbiology, Ecology and Biochemistry (Ecology 2019)’ during February 25-26, 2019, at London, UK,. This seminar will be attended by distinguished speakers from USA and Europe. The themes of this conference include proteomics. Ecology 2019 brings you a unique opportunity to meet and develop connections with world leaders along with early and mid-career scientists involved in soil regeneration, microbial and ecological research, to know more about opportunities and challenges of biochemistry research for human health, agriculture, environment and biotechnology. The conference will see sessions on Microbial Ecology, Nutrient Transformation, Energy & Environment, Climate change, Environmental Toxicology and Genetics and latest advances in computational approaches in the field of soil management and various researches on ecosystem sustainability. This conclave will witness some of the leading experts from around the world actively working in the field of microbiome research share their ideas and work. The aim of objective is to cooperate with organizations, institutions with related aims and interests, and provide opportunities for Meteorologist, Biochemistry researchers, Environmental researchers, communication among ecologists and to provide technical know-how for reducing environmental pollution through proper recycling of industrial and agricultural wastes. Attend folks are well benefited with to publish their articles in respective journals, Accord certification with our top experts for speakers presentations, Live Streaming of your presentation through our websites and YouTube (up on your interest), Abstracts will receive a DOI number provided by Cross Ref. 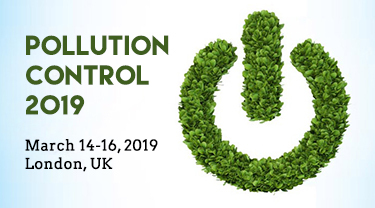 5th International Conference on Pollution Control & Sustainable Environment, March 14-16, 2019 London, UK: The theme of the conference is “Scientific challenges and brilliance of new era in Pollution Control”. The vision and study presented in the scheme of the Conference will provide a critical cornerstone for the discussion of a pollution-free environment. It’s time we realised that if we don’t get serious about tackling pollution, we have to adverse consequences. 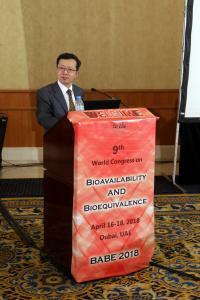 This International conference and events includes a wide range of Keynote presentations, Oral talks, Poster presentations, Symposia, Workshops, Exhibitions and Career development programs. Pollution Conference will focus on the topic of pollution and explore innovative solutions to tackle it. Pollution Control 2019 includes different type of topics such as Environmental Pollution, Renewable Energy, Bioenergy and Biofuels. This conference will educate how the Pollution affect not on the environment but also the living organism health be it human, plants or marine life. Pollution Control 2019 will discuss various disciplines involved in the pollution research, environmental conservation and also to conserve our natural resources. Pollution Control 2019 will also focus on technology that has revolutionized our perspective to control pollution. The worldwide air quality control frameworks advertise remained at US$ 65.49 billion of every 2016. It will experience an enormous ascent amid the period from 2016 to 2022, the income in air quality control frameworks advertise is relied upon to reach US$ 92.38 billion before the finish of the estimate time frame. Pollution Control 2019 will emphasize the numerous challenges and risks it poses to the region by bringing together high-level researches, research institute, international organizations, civil society, private sector, development agencies and other relevant stakeholders. 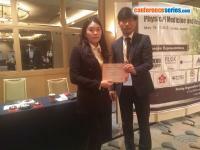 Pollution Conference will bring together all the market players in the areas of recycling, refuse, water, and sewage. 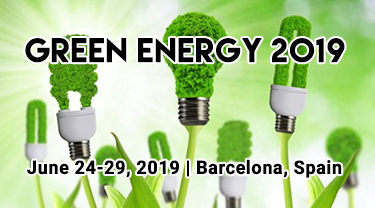 Green Energy Congress 2019: 7th World Congress and Expo on Green Energy, scheduled during June 24-25, 2019 at Barcelona, Spain. This Green Energy Conference includes a wide range of Keynote presentations, Oral talks, Poster presentations, Symposia, Workshops, Exhibitions and Career development programs. Conference associated with Academicians, Scientists, Business delegates, Experts, Departmental Managers, Vice Presidents/ Directors and Manufacturers/ Marketers of Consumer Products, Professors and Students from Academia working in the arena of renewable energy. Green Energy is created from natural processes that are continuously replenished. Now a day’s, people around the world are using fossil fuels for energy needs. Climate change is one of the greatest environmental challenges in world; the main cause behind it is our dependence on fossil fuels. Existing demands for fossil fuels has been increased along with the cost. Using renewable energy helps to protect our planet by significantly reducing the amount of carbon emissions that we produce, with a much lower impact on the environment. According to our market reports, Renewable sources currently supply about 10–20% of the world's energy and it is expected to grow at rates of 10–60% annually for many technologies and advancements. In 2019 global investment in renewables rise 5% to $285.9 billion, breaking the previous record of $278.5 billion in 2018. According to a 2020 projection by the International Energy Agency, solar power generators may produce most of the world's electricity in next 50 years, reducing the emissions of greenhouse gases that harm the environment. Global investments in renewable technologies from 2006 to 2018 (measured in billion USD per year) were 47 billion USD to 286 billion USD, which increased of more than 600 %. Investment has grown across all regions, but at significantly different rates. Growth has been greatest in China, increasing from 3 billion USD in 2004 to 103 billion USD by 2018 (an increase of 3400%). China is now the largest single investor in renewable technologies, investing approximately the same as the United States, Europe and India combined. 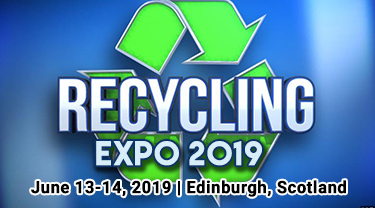 Recycling Expo 2019: 11th World Congress and Expo on Recycling will be held during June 13-14, 2019 in Edinburgh, Scotland. The main aim of this conference is to bring the improvement in the field of Recycling & Waste management, Sustainable Energy Policy and also it plays an important role in educating and informing environmental researcher, industry professionals with the latest technologies that can be applied to counter the difficulties which ecologist may face during their practice. Recycling Expo 2019 will focus on Recycling business, Sustainable Energy policies and the latest technical innovations of the recycling and waste management. It also aims to bring together the leading global recycling experts, business delegates from Recycling Industries, Recycling researchers, students, Policy Makers, and Academicians to exchange and share their experiences and research works about all aspects of Recycling and its related areas. Recycling has been made more efficient which creates high-skilled jobs by spending the 10% amount of the annual turnover on new technologies, research and development. The Recycling & Waste management industries have become an integral part of modern society, not only due to its social and economic impact but also, it plays a significant role for the future of our planet. The recycling industry has employed more than 1.5 million people and has generated over $230 billion in gross annual revenues and saved municipal budgets over $3 billion in landfill disposal fees. HDPE plastic (laundry detergent, shampoo bottles) would earn a profit of $150 per ton, to be split by the municipality and recycling company. Increasing awareness towards the benefits of recycling among people and growing numbers of recycling manufacturers are other factors which will increase the number of recycling industries in future. 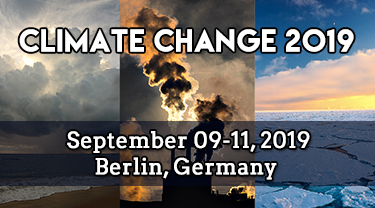 Climate Change 2019: 6th World Conference on Climate Change, scheduled during September 9-11, 2019 at Berlin, Germany. This Climate Change 2019 Conference include a wide range of keynote Presentations, Oral talks, Poster presentations, Symposia, Workshops, Exhibitions and Career development programs. Climate Change 2019 provides an opportunity for all stakeholders working in this field to showcase their achievements. It provides the opportunity not only to principal investigator but also the young researcher and the upcoming researchers specially co-authors who are under the study of the environment changes and updating themselves towards Global issues. Therefore, Climate Change 2019 expected to attract renowned speakers along with the co-authors, principal investigators, experts and researchers from both academia and health care industry to join together. 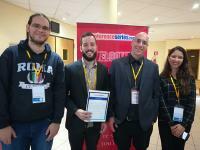 Climate Change 2019 this year targets on the co-authors that are recognize at the beginning of each communication as many conference program forgets to provide the identity to them. Climate Change 2019 will discuss on various topics relating how the industrial waste, Greenhouse Gases, use of Fossil Fuels which are affecting the globe and showing its impact on earth’s Temperature and the rise of Sea Level. One such example is the raise of ocean level i.e. around 8 crawls in the most recent century. Since the start of the Industrial Revolution, the level of surface sea waters has expanded by around 30 %. This is a consequence of people emanating more Co2 into the air. The issue of climate change has attracted increasing business attention in the past decade. Whereas companies initially aimed primarily at influencing the policy debate, corporate strategies increasingly include economic responses. Climate Change welcomes all the Research scholars, Industrial exports, Delegates and the pioneers in the fields of climate change to join us at 6th World Conference on Climate Change, and make certain implements of their research to have a significant contribution for a better tomorrow for the future generation and for the mother earth. Pollution and Health 2019: 2nd Annual Congress on Environmental Pollution and Health is scheduled during October 21-22, 2019 Sydney, Australia with the theme Sustainable Environmental Practices for Reducing Global Pollution and related Health hazards. It provides global platform to share thoughts on recent advances and technological breakthroughs in the Pollution and Health sector. Pollution and Health 2019 facilitates networking, B2B Meetings and opportunities for collaborations in the related field. Target audience are Environmentalists, Pollution Control Experts, Pollution and Health experts, Scientists, Professors, Students, and Researchers. 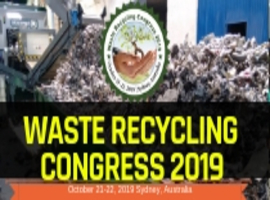 Waste Recycling Congress 2019: 10th World Convention on Recycling and Waste Management is scheduled during October 21-22, 2019 Sydney, Australia with the theme Reduce and Recycle Waste for Sustainable Waste Management. It provides global platform to share thoughts on recent advances and technological breakthroughs in the Recycling and Waste Management. Waste Recycling Congress 2019 facilitates networking, B2B Meetings and opportunities for collaborations in the related field. Target audience are Research Scientists, Recycling Associations, Recycling Industries, Recycling Researchers, Business Entrepreneurs, Environmental Academia’s, Ecologists, Green Energy Training Institutes, Chemical Engineers, Environmental Engineers, Waste Management Associations, Professors, Students, and Researchers. 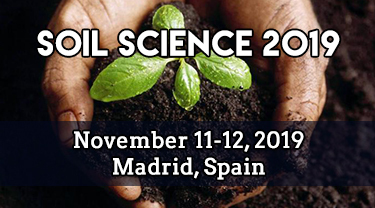 The 3rd Annual Congress on Soil, Plant and Water Sciences is scheduled on November 11-12, 2019 at Madrid, Spain. In 2017, Spain was the second most visited country in the world, recording 82 million tourists because of its popular coastlines, diverse landscapes, historical legacy, vibrant culture, and excellent infrastructure. Spain is also well known for its Spanish Football. Conference Series llc LTD would be delighted to invite you to attend 3rd Annual Congress on Soil, Plant and Water Sciences. 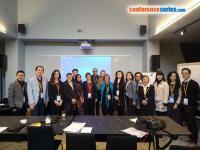 Conference Series llc LTD is a World’s leading event organizer conducting International conferences in Europe, Asia-Pacific and Middle East. This is the finest opportunity for an interaction with largest assembly of participants from the soil sciences associations, water science association’s soil sciences societies, water science societies, Agriculture, Agronomy, hydrology, soil sciences and water sciences Academicians. It provides a premier technical forum for reporting and learning about the latest research on soil management and water resource management and other relevant to soil science and water science, as well as for launching new applications and technologies and the effectiveness of various regulatory programs on soil management, water conservation, water cycle, infiltration, hydrology, hydrogeology and water management, towards Soil Science 2018 Conduct presentations, share knowledge, meet with current potential and eminent scientists, and receive name recognition at this two days event. Our aim is to aggregate community and to create a platform for launching new applications, technologies and to explore new trends in the field of Soil Sciences. Once Again we welcome you all for The 3rd Annual Congress on Soil, Plant and Water Sciences Nov 11-12, 2019 at Madrid, Spain.